Nina was born at home in Buffalo, New York in 1971. She was raised on the family farm in Virginia and fed on simple real foods like raw milk from the family cow and a lot of vegetables. At age 9, Nina sold produce at roadside stands. 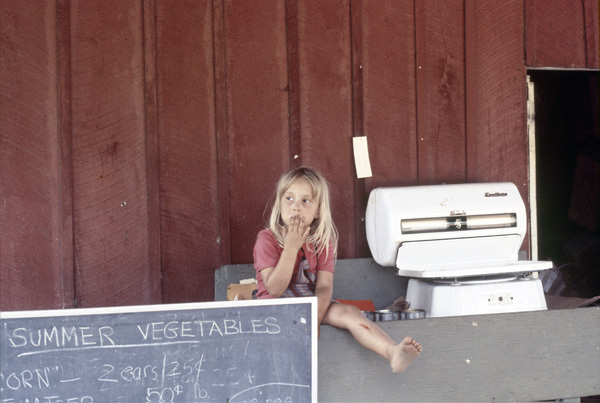 In 1980, the first proper farmers’ markets opened nearby, and from then on, the Plancks made a living—and sent two kids to college—by selling at farmers’ markets. Nina left farming to work on Capitol Hill, report for TIME Magazine, and write speeches for the U.S. ambassador to London, but food was ever on her mind. In 1999, she opened the first farmers’ markets in London and today her company, London Farmers’ Markets, runs 18 year-round markets. Tempted by England’s finest beef and raw milk cheese, Nina wondered about the advice most Americans get about diet. After some dutiful, dull, and unhealthy years in the vegan, vegetarian, and non-fat wilderness, she came back to real food. 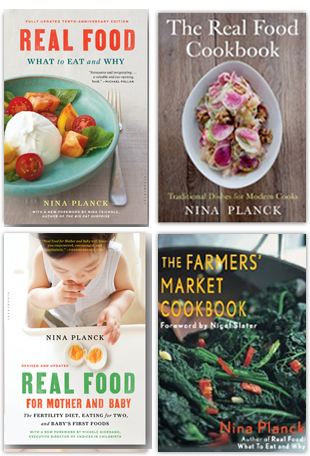 Nina explains it all in her acclaimed Real Food: What to Eat and Why. Her vigorous defense of traditional foods opened tasty doors for eaters who’d had enough of low-fat and imitation foods. In Real Food for Mother and Baby, Nina takes up traditional diets for mother, father, and child. She dismantles common misconceptions and fears about prenatal and weaning foods in her typically direct style. Her two cookbooks The Farmers’ Market Cookbook and The Real Food Cookbook offer delicious and simple recipes using real food as well as shopping lists and tips. Nina lives in Greenwich Village and Stockton, New Jersey, with her husband cheesemonger Rob Kaufelt, owner of Murray’s Cheese, and their three children: Julian, Jacob and Rose. One personal note for NYC parents seeking a different and better school. The Kaufelt children attend a serene, green, real-food, child-oriented, like-no-other school in the East Village. Learn more about New Amsterdam, the only Waldorf school in downtown Manhattan, at NewAmsterdamSchool.org.